Now 5800 miles in to life with the Honda Africa Twin and things are going well. My recent adventures have taken me North for a 900-mile round trip to Scotland. Ever since I was a kid I’ve wanted to go and watch the SSDT (Scottish Six Day Trial) The famous annual event attracts riders from all around the world and was won this year by Dougie Lampkin. 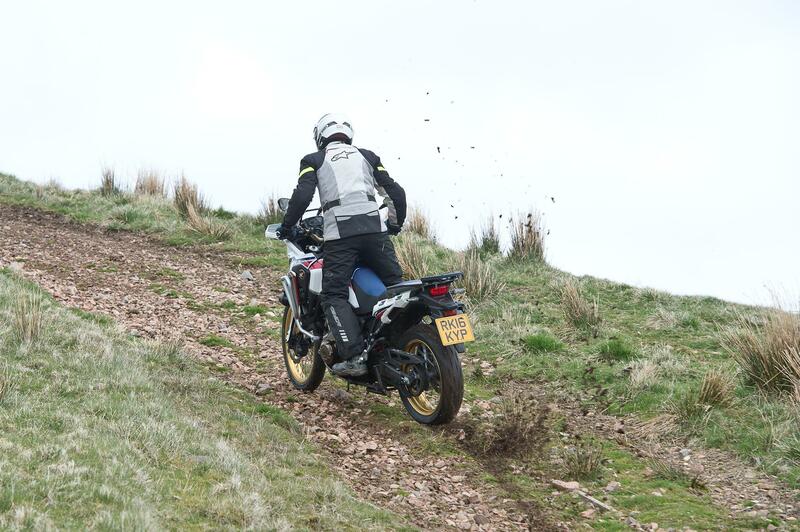 The ride to the SSDT, which is held around Fort William was done in two days. Day one was all about crunching out the miles, which meant a healthy dose of motorway riding, but that monotony was brought to an end on day two, which started with a morning riding around the Tinto Moto Park off-road facility (www.tintomoto.com). The Africa Twin lived up to expectations off-road and despite the slippery conditions and the dual purpose Continental TKC70 tyres I had over two hours sliding the bike around in the mud. With the mud cleared from my tyres and the motorways miles in the distant past it was time to explore some of Scotland’s epic roads. I’ve done the run up through Glencoe and the surrounding B-roads a number of times in the past and but it never fails to disappoint. Stunning scenery, minimal traffic and all on a bike that makes it fast enough to be fun, but not so fast that you miss out on the breathtaking snow-capped mountains and waterfalls.